Now Available in Dark Smoke! (Mitchell, SD) – Riders asked and Klock Werks listened! Klock Werks is happy to announce their 11.5” Flare™ Windshield for 96-13 and 2014+ FLH models is now in stock and ready to ship in the highly demanded Dark Smoke option. Calling upon many years of air management experience, loyal customer feedback, and comprehensive road testing, the Klock Werks Flare™ Windshield remains the best choice for improved airflow. With multiple heights available for the HD batwing style fairing, and now a dark smoke option for the 11.5” Flare™, riders are sure to find a height and tint combination that fits their needs for their style and riding preferences. “We are very excited to release our new 11.5” Flare™ in Dark Smoke. Since the very first Flare™ we developed for our Biker Build Off winning bagger back in 2006, customer feedback has led us as we’ve made choices for our Flare™ Windshield line. Riders have consistently asked for a dark smoke option of the 11.5” version, and whenever possible, we deliver what they are asking for,” stated Laura Klock, Vice President of Klock Werks. 13 and 2014+ Street Glide, Electra Glide and all other Batwing style fairings with stock mounting locations, the 11.5” is also available in tint and clear. 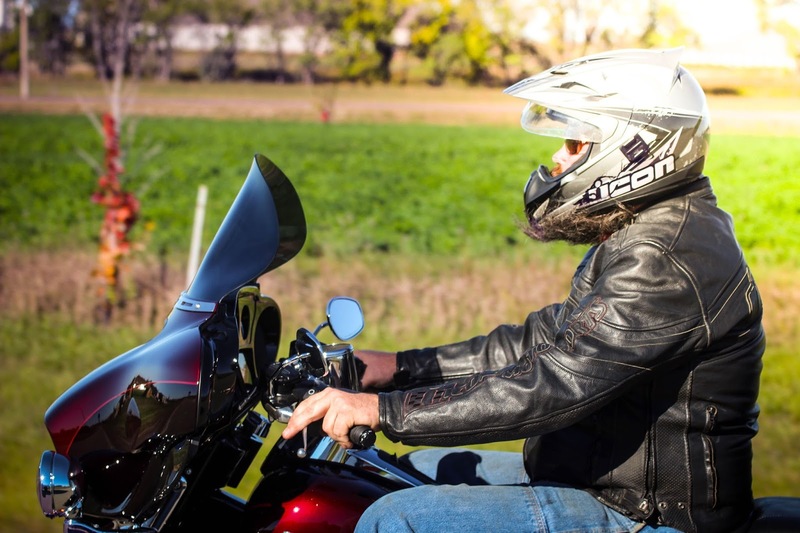 Klock Werks welcomes questions and encourages riders to “Understand the Difference” in order to make an informed buying decision. To Learn more or order visit www.kustombaggers.com or your local Drag Specialties Dealer. Klock Werks Flare™ Windshields feature "hips" at the sides that re-route the wind away from you while adding downforce to the front-end of the motorcycle to improve stability, vs. riding with the stock windshield. The flip at the top of the Flare™ redirects air back as clean, less turbulent air for rider and passenger. Don't just block or push the air, use the air for you, redirecting the wind to improve your ride. 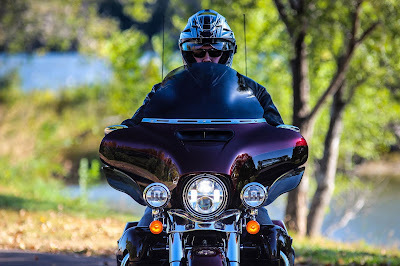 Wind tunnel testing and real world riding and have proven that Klock Werks Flare™ Windshields continue to be the first, and best choice for riders everywhere. Made in the USA from hard-coated polycarbonate material for added durability and quality.